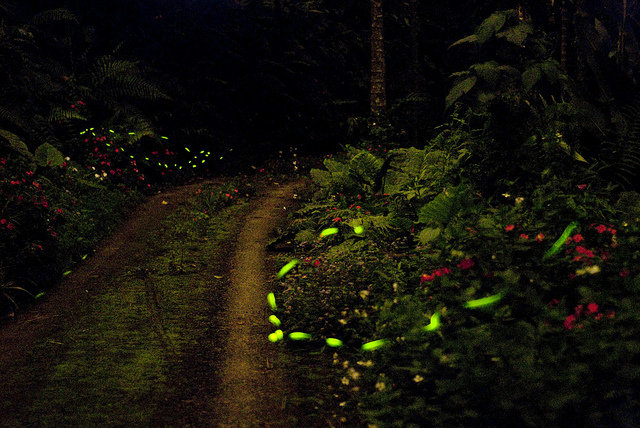 Did you see any fireflies this summer? Our first High Five paper is Halloween worthy – not for the presence of things that go “buzz” in the night, but for the lack of them. The paper, “More than 75 percent decline over 27 years in total flying insect biomass in protected areas,” appeared in PLOS One this month. 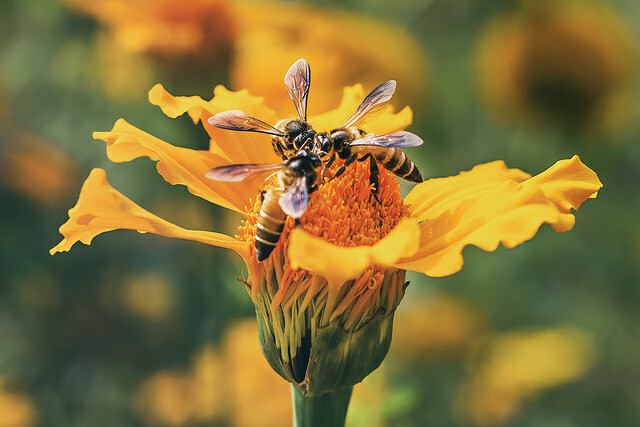 While more studies are needed to determine the true extent and causes of this apparent insect decline, we need to start looking more closely at the impacts of our products on the important activities of insects, including activities that impact our own lives such as pollination. 2. I’m Sorry, Dave. You Lose. 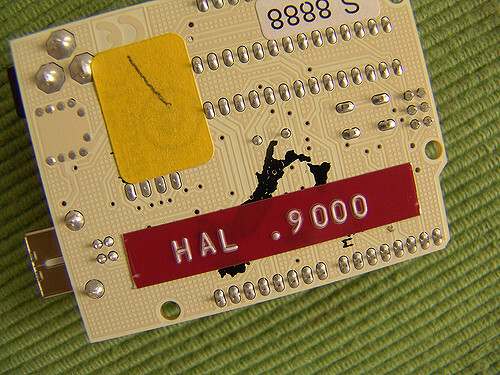 Our second High Five paper brings to mind the (also Halloween worthy) scenes with Hall 9000 in 2001: A Space Odyssey – “I’m Sorry Dave, I’m afraid I can’t do that.” The paper, “Mastering the game of Go without human knowledge,” was published in Nature this month. Is a self-teaching computer creepy, or awesome? Nearly 100 news outlets covered the study, which also got a lot of attention on Twitter. What else could AIs learn to do? Could they learn to perform tasks that human experts can’t currently do or don’t know enough to do, such as decipher protein folding or solve other complex problems? 3. 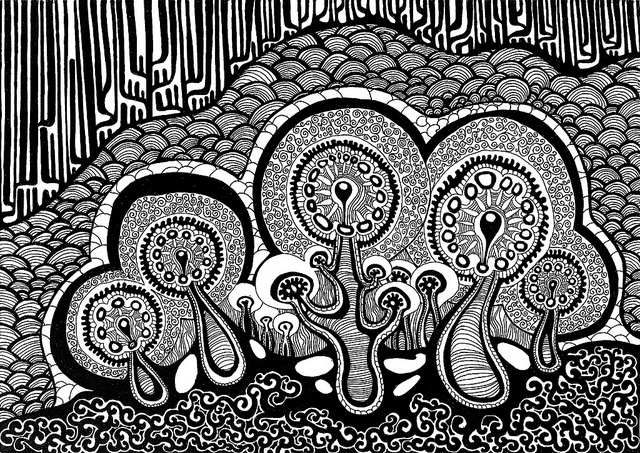 Magic Mushrooms to Make You Happy? Our next High Five paper is groovy. “Psilocybin for treatment-resistant depression: fMRI-measured brain mechanism,” was published in Scientific Reports this month. In case it’s not obvious right off the bat why this study is so newsworthy, you should know that Psilocybin is a psychedelic prodrug derived from mushrooms. Over 200 news outlets covered the study, including many mainstream and broadcast channels. Our next High Five paper is “A worldwide survey of neonicotinoids in honey,” a report published in Science this month. Bad news for bees… and humans? The authors collected honey from nearly 200 sites on six continents with the help of citizen scientists. More samples in North America than elsewhere contained at least one pesticide. The contamination might be too low to affect humans who consume honey in moderate amounts, but for bees (and people who enjoy honey bee pollinated foods and other products), it might represent a more serious problem. 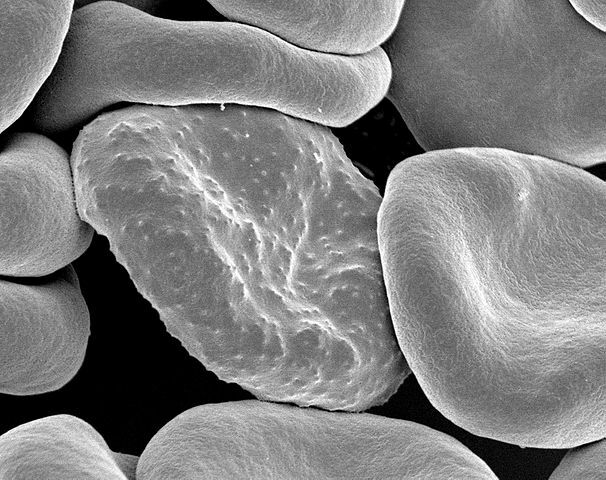 Electron micrograph of a Plasmodium falciparum-infected red blood cell (center), illustrating adhesion protein “knobs”. Credit: Rick Fairhurst and Jordan Zuspann, National Institute of Allergy and Infectious Diseases, National Institutes of Health. Our final High Five paper describes the spread of a multidrug resistant malaria parasite lineage. The global risk of drug-resistant malaria may not be high, but the scare factor is. The paper, “Spread of a single multidrug resistant malaria parasite lineage (PfPailin) to Vietnam,” appeared in The Lancet Infectious Diseases this month.